The Colorado man convicted of killing his pregnant wife and two young daughters spoke to investigators and provided more information about the murders, the Colorado Bureau of Investigation said Thursday. Investigators visited convicted killer Chris Watts at the Dodge Correctional Institution in Waupun, Wisconsin, on Feb. 18, during which "Watts provided investigators with additional information about the murders of Shanann, Bella, and Celeste," the Colorado Bureau of Investigation (CBI) said in a Thursday statement. At the meeting with Watts were Frederick Police Department Detective Dave Baumhover, FBI Special Agent Grahm Coder and CBI Agent Tammy Lee, according to an inmate visitation log. The CBI said it plans to release a written report and audio file of the interview on March 7. Chris Watts was sentenced in November to life without parole for the August murders of his wife, Shanann Watts, 34, and their daughters Bella, 4, and Celeste, 3. Chris Watts' father, Ronnie Watts, said his son did not tell him the details about the conversation, but Ronnie Watts told ABC News Thursday, "In my heart I know he didn't kill those girls." Ronnie Watts said his son calls him every night and "knows the Bible inside and out." "It's over and done with," Ronnie Watts said of the case. "I am confused why they [the investigators] went out there in the first place." 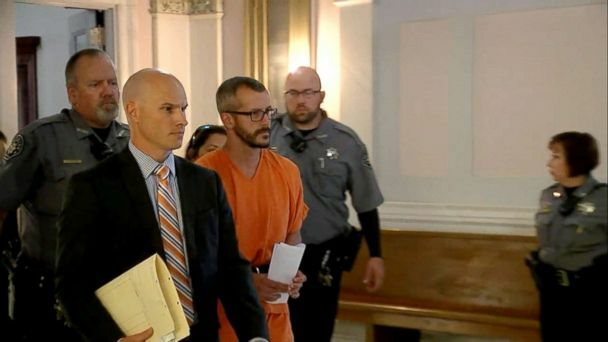 Chris Watts had pleaded guilty to all charges against him, and in exchange, prosecutors did not pursue the death penalty, the Weld County District Attorney's office said. In August, right after the crime, Chris Watts spoke to reporters, saying his wife vanished with his daughters without a trace, leaving her purse and keys at home. Chris Watts declined to speak at his sentencing but his attorney, Kathryn Harrold, said her client is "devastated" and "is sincerely sorry for all of this."